Forestry mulching is an extremely efficient and environmentally sound method of clearing large areas of heavy vegetation, thick undergrowth and scrub, through to trees up to 8" in diameter. 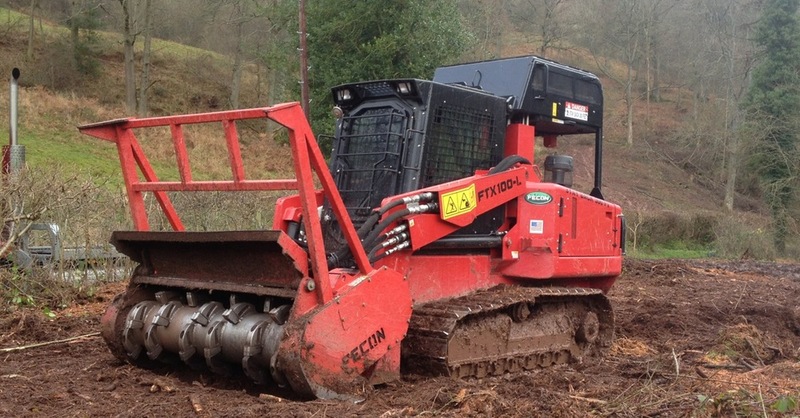 The Fecon FTX-100 is only 1.75m wide and is equipped with low ground pressure steel tracks. The Prime-Tech PT400 is ideal for heavy duty applications. Whether you want land cleared for development, forestry, stewardship schemes, ecological reasons or simply tidying, the work can be speedily and professionally completed using our high-spec machines.